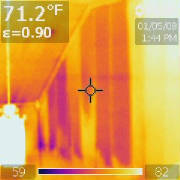 Avoid Homebuyer Nightmares: Infrared Technology Allows Us to See Much More During Your Inspection! Nobody likes ‘surprises’ when it comes to their home; especially when there is a "BIG" dollar amount attached to those unexpected ‘SURPRISES’! With Thermal Imaging Technology, we're able to help protect you against hidden problems and/or damages, no matter if you're the seller, the buyer or even just a complacent homeowner looking to make your home as efficient as possible. 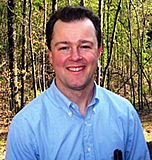 We're able to provide you with a more thorough home inspection when buying or selling your home. 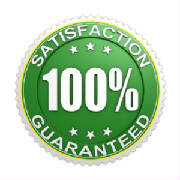 We're also able to save you money by accurately identifying the source(s) of any underlying issues (eliminating any destructive work to find the source), and determine any areas that could be more energy efficient within your home. Infrared Thermal Imaging (ITI) is a non-invasive, non-destructive way of evaluating conditions below the surface. This allows us to detect small, but crucial differences in temperature throughout the house within the building materials. 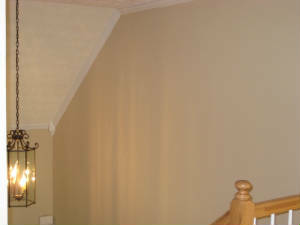 Infrared Thermal Imaging allows us to locate moisture behind the walls, beneath the floors and above the ceilings. 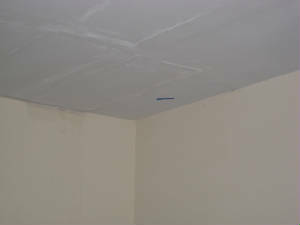 Moisture often leads to mold growth inside your home. Plumbing leak at garage ceiling- not visible during typical inspection process. Plumbing leak indicated by infrared scan (dark blue area). 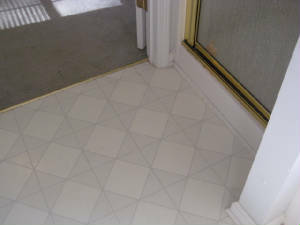 Interior hallway in a newly constructed home appears to be insulated. 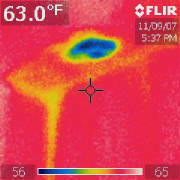 Infrared Scan Indicates Missing Insulation. 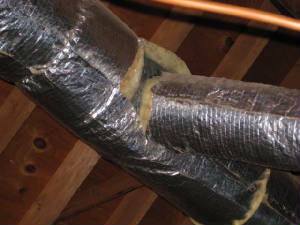 Air conditioning duct work during regular visual inspection. 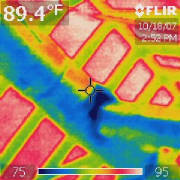 Infrared scan indicates that cold air is leaking from duct work into attic (dark blue area). 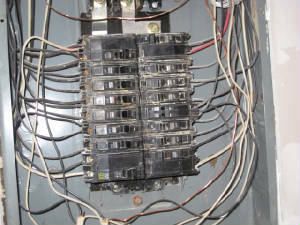 Electrical panel during normal inspection process appears to be functioning properly. 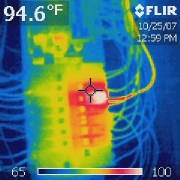 Infrared scan of the panel indicates overheated electrical breaker & wire. This is a fire hazard that would have been overlooked during a typical visual inspection. Plumbing leak at shower liner is not noted during typical visual inspection. 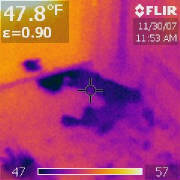 Infrared scan indicates that water is leaking from shower under vinyl flooring. 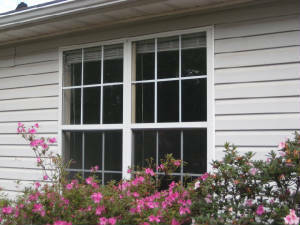 Insulated windows appear to be functioning properly. 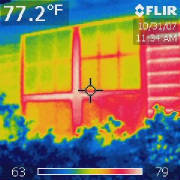 Infrared scan indicates that heat is escaping through failed thermal seal (noted at lower right side window). You Call to Pre-Schedule Your Appointment Today! At Keystone Property Inspections, we now have the technology to detect what no one else can and believe that you have not actually ‘seen’ your home until you see it through the eye of an Infrared camera!